In this tutorial, we explain how to build a chat application where the users can see their own and the locations of the other participants on a map. 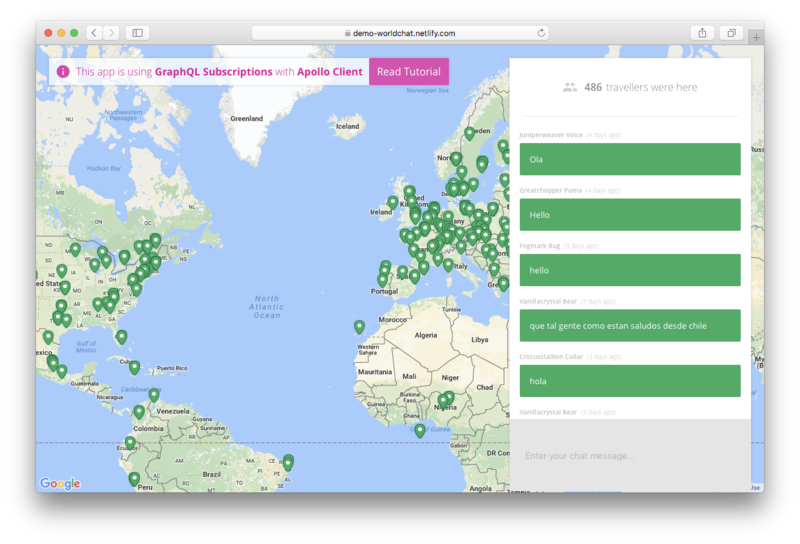 Not only the chat, but also the locations on the map get updated in realtime using GraphQL subscriptions. Note: This tutorial is outdated and will be updated soon. The tutorial focusses on the implementation on the client-side, to learn how you can implement subscriptions in your own GraphQL server, check out this tutorial. You can check out a hosted demo of the application here. Note: If you’re just getting started with GraphQL, check out the How to GraphQL fullstack tutorial for a holistic and in-depth learning experience. Subscriptions are a GraphQL feature that allow to get realtime updates from the database in a GraphQL backend. You set them up by subscribing to changes that are caused by specific mutations and then execute some code in your application to react to that change. 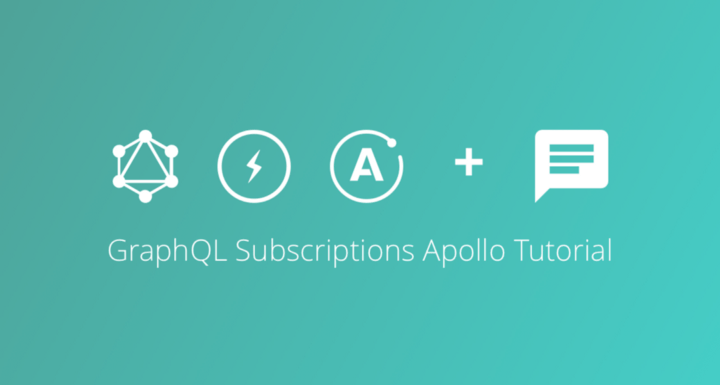 Using the Apollo client, you can benefit from the full power of subscriptions. Apollo implements subscriptions based on web sockets. Note: This code assumes that you have configured and set up the ApolloClient and made it available in the props of your React component using withApollo. We'll explain how to setup the ApolloClient in just a bit. If you specify previousValues for a CREATED mutation, this field will just be null. Likewise, the node for a DELETED mutation will be null as well. Apollo uses the concept of an Observable (which you might be familiar with if you have worked with RxJS before) in order to deliver updates to your application. Rather than using the updated data manually in a callback though, you can benefit from further Apollo features that conventiently allow you to update the local ApolloStore. We used this technique in our example Worldchat app and will explain how it works in the following sections. Note: Graphcool has been replaced by Prisma. Check out this tutorial to learn how you can setup a realtime GraphQL server with Prisma. This will automatically create a project called Worldchat that you can now access in our console. To get started with subscriptions in the app, we need to configure our instance of the ApolloClient accordingly. In addition to the GraphQL endpoint, we also need to provide a SubscriptionClient that handles the websocket connection between our app and the server. To find out more about how the SubscriptionClient works, you can visit the repository where it's implemented. Note: You can get the your PROJECT ID directly from our console. Select your project and navigate to Settings -> General. You can view the full implementation here. Let’s now look at how we implemented the chat feature in our application. You can refer to the actual implementation whenever you like. We then subscribe for changes on the Message type, filtering for mutations of type CREATED. Notice that we’re using a different method to subscribe to the changes compared the first example where we used subscribe directly on an instance of the ApolloClient. This time, we're calling subscribeToMore on the allMessagesQuery (which is available in the props of our compoment because we wrapped it with graphql before). Next to the actual subscription that we’re passing as the document argument to subscribeToMore, we're also passing a function for the updateQuery parameter. This function follows the same principle as a Redux reducer and allows us to conveniently merge the changes that are delivered by the subscription into the local ApolloStore. It takes in the previousState which is the the former query result of our allMessagesQueryand the subscriptionData which contains the payload that we specified in our subscription, in our case that's the node that carries information about the new message. From the Apollo docs: subscribeToMore is a convenient way to update the result of a single query with a subscription. The updateQuery function passed to subscribeToMoreruns every time a new subscription result arrives, and it's responsible for updating the query result. Final result of the Worldchat app. Demo can be found here. Let’s now look at how to add a geo-location feature to the app so that we can display the chat participants on a map. The full implementation is located here. At first, we need one query that we use to initially retrieve all locations and their associated travellers. Finally, we need to subscribe to the changes on the Location type. Every time a new traveller and location are created or an existing traveller updates their location, we want to reflect this on the map. In both cases, we’re simply incorporating the changes that we received from the subscription and specify how they should be merged into the ApolloStore. In the CREATED-case, we just append the new location to the existing list of locations. In the UPDATED-case, we replace the old version of that location in the ApolloStore. In this tutorial, we’ve only scratched the surface of what you can do with our subscription API. To see what else is possible, you can check out our documentation. 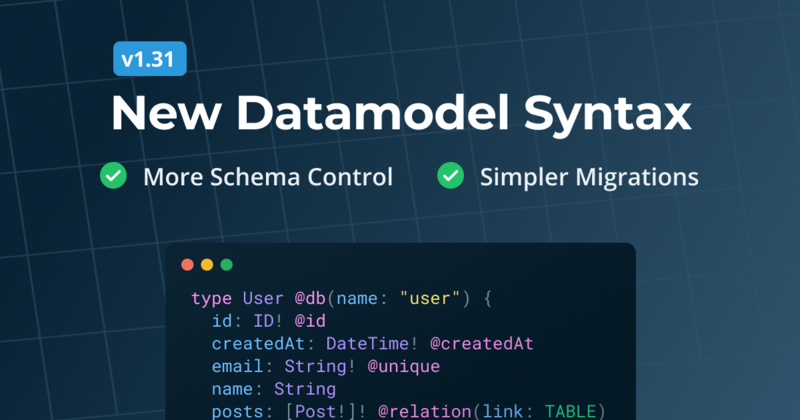 Prisma's latest release features an improved datamodel syntax. It removes many of the opinionated decisions Prisma used to make about the database layout and enables more control for developers. 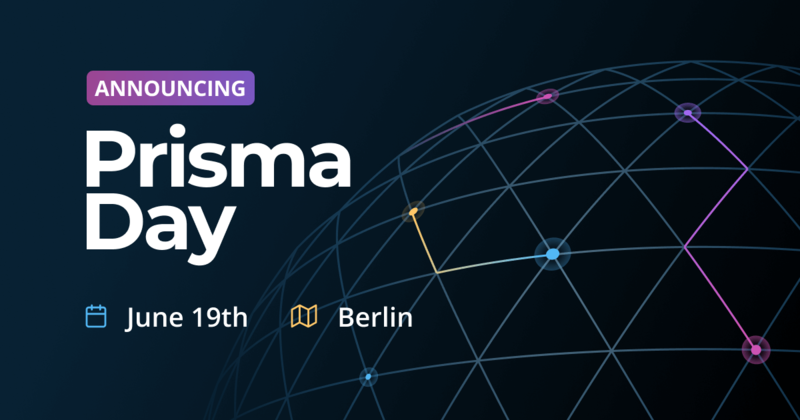 Announcing the first Prisma Day, a one-day Prisma community conference on the intersection of modern app development, databases, and Prisma in production. 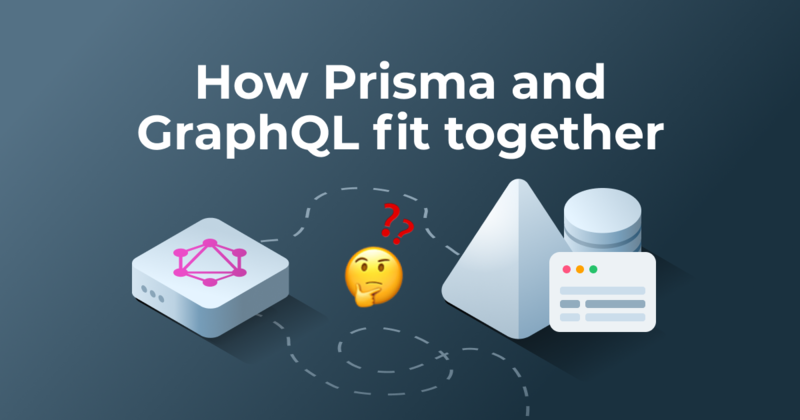 There are many confusions around the relationship Prisma has with GraphQL. 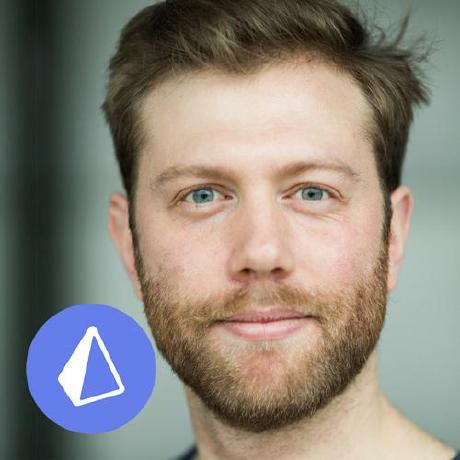 In this article, we clarify how developers should think about GraphQL and Prisma and provide a glimpse into Prisma's future.